The Archives and the Herbarium of the Institute of Botany (IB), University of Montpellier 2, France, were surveyed from the 4th to 6th of June. The IB was founded in 1890 by Charles Flahault (1852-1935). It preserves documents related to his work at the University, as well as his manuscripts and publications. Institute of Botany, University of Montpellier 2, in the 1930s. This building was replaced by a new and much bigger one in 1959. 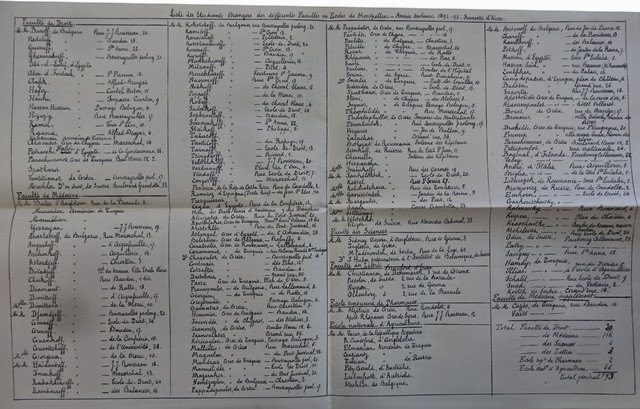 According to the lists of foreigners students in the University of Montpellier, organized by Flahault, Jacques Huber studied at the Faculty of Sciences from 1890 to 1893, and was Assistant (Préparateur) in the Laboratory of the Institute of Botany from June 1892 until his traveling to Geneva in 1893. In the first semester of 1893, Huber was responsible for training the students in "Practical works" (Travaux pratiques) at the Laboratory. 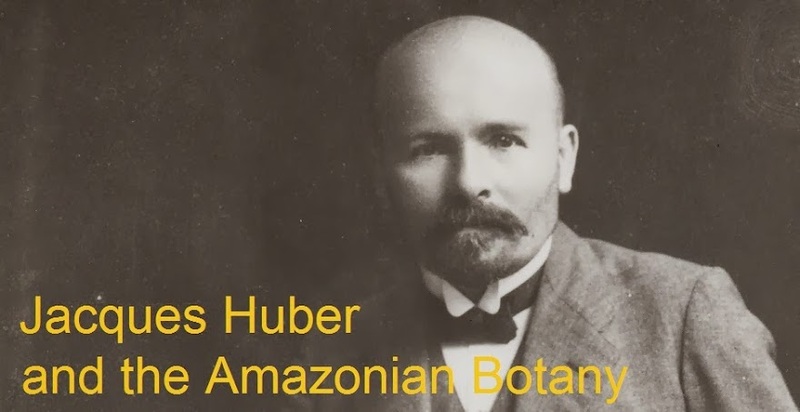 He became part of the staff of the Botany course, among Charles Flahault, Fernand Jadin, Maurice Granel, Louis Planchon, and Lucien Courchet. "Etudiants étrangers à Montpellier (Semestre d'hiver 1890-91)", by Charles Flahault. 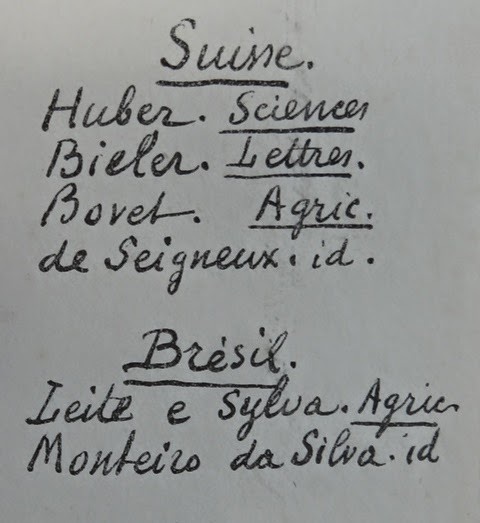 Detail of the list above: Swiss and Brazilian students in Montpellier (1890-1891). "Liste des Etudiants étrangers des différents Facultés ou Ecoles de Montpellier - Année scolaire 1892-93 - Semestre d'hiver", by Charles Flahault. 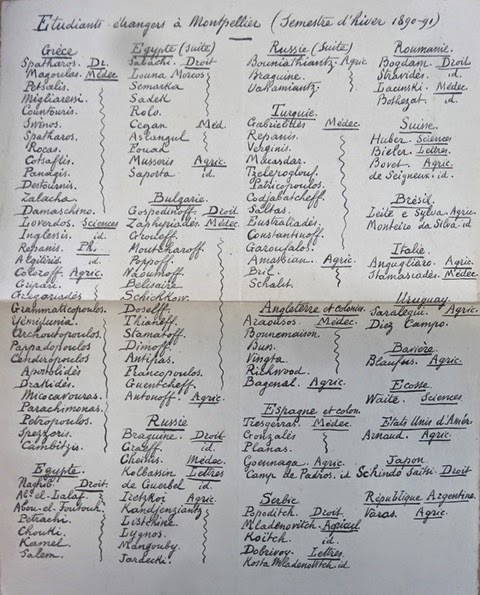 Detail of the list above: foreigners students in the Faculty of Sciences of Montpellier (1892-1893). "Service des cours pendant le semestre d'été (16 mars - 15 juillet)", by Charles Flahault. Huber's classes took place on Monday and Tuesday. While studying in Montpellier, Huber was subsidized by the Comité de Patronage des Étudiants Étrangers à Montpellier and by the Union Franklin, which was founded by Charles Flahault "en vue d'assurer des conditions de vie matérielle modestes et pourtant hygièniques aux étudiants de Montpellier...". 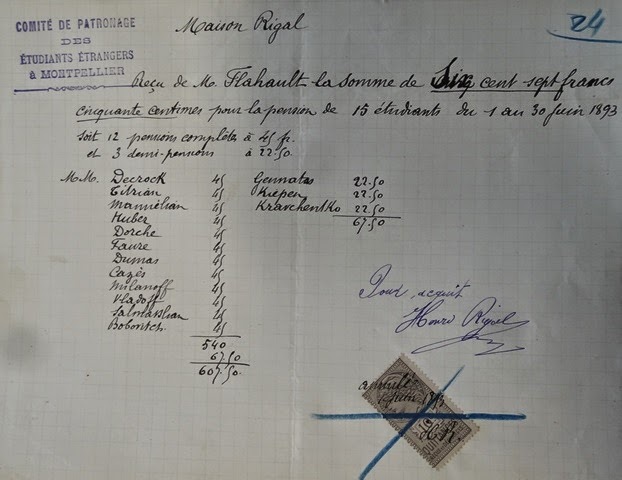 Foreigners students who lived at the Maison Rigal in June 1893, payed by the Comité de Patronage des Étudiants Étrangers à Montpellier. Among them, Jacques Huber. List of teachers and students of the University of Montpellier subsidized by the Union Franklin from November 1892 to July 1893. Among them, Flahault and Huber. We thank to Mrs. Véronique Bourgade and Noémie Miralles-Aumasson, from the Pôle Patrimoine scientifique de l'Université Montpellier 2, for their support and kindness. We also thank to Dr. Caroline Loup, Curator of the Herbarium MPU, for the interlocution and for helping with Huber's types. 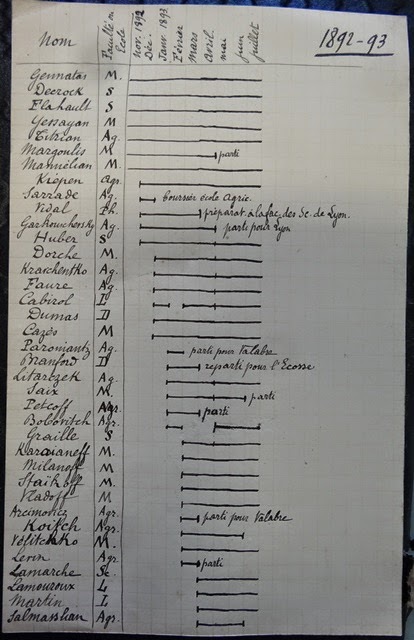 Find more information in this blog about the Archives and Herbarium of the Institute of Botany (UM2), as well as the Jardin des Plantes de Montpellier. 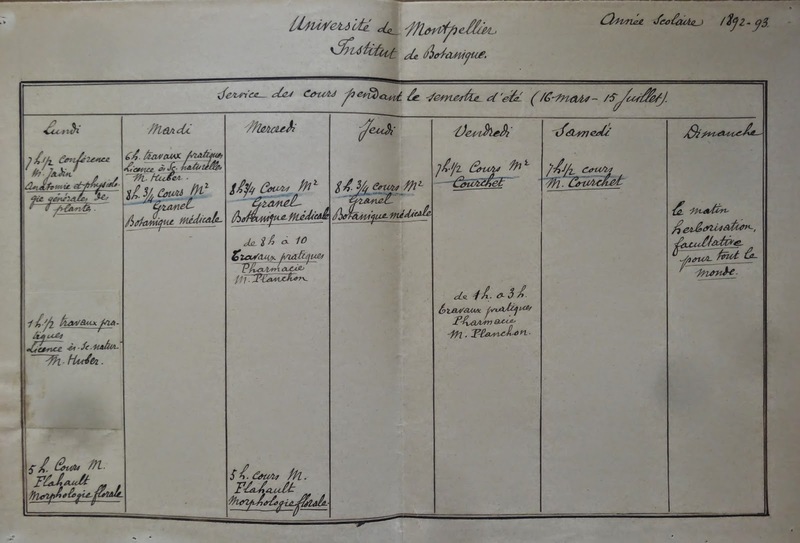 To know more about the history of the University of Montpellier 2, please click here, and the Institute of Botany (UM2), click here.